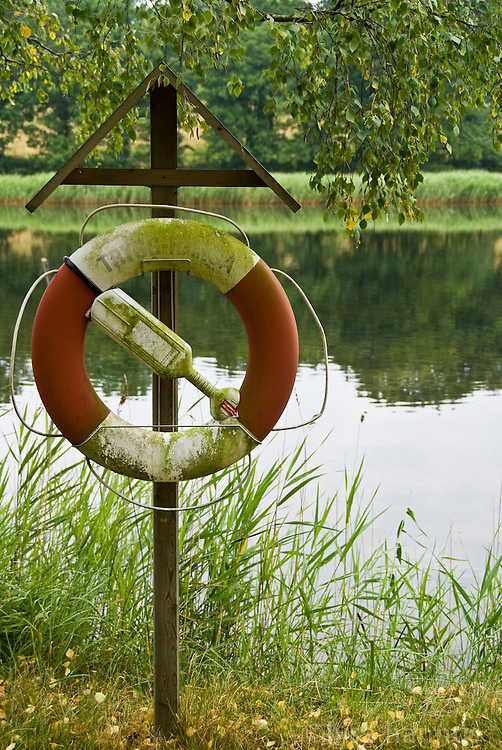 A life preserver stands at the ready. A life preserver is close at hand at the edge of a section of water near the island of Jordö, one of many in the southern archipelago near Karlskrona, Sweden. Like most of the islands in the area, Jordö sees its population increase dramatically during the summer months as Swedes flock to their cottages to enjoy the short but sweet summer period.